Our gatherings include the power of sound and vibration. They are an intricate part of the healing process. We will take you through a journey that will vibrate you to the deepest level. We work with an array of indigenous tools including gongs, drums, feathers, chacapas, windwand, bowls and others. These gatherings are about opening the heart, releasing that which no longer serves and calling in that which we wish to have in our lives. They are purposeful, with intent, love and for healing. Holding sacred space for healing brings us great joy. It is what we love to do. Our commitment is for you to remember your greatness and we will love you through the process. People's comments for these ceremonies and other work can be found on the Testimony page. We incorporate sacred sound with the percusiive meridian tapping process of EFT or Emotional Freedom Technique. It is called Vibrational EFT. Together the vibration of the sound with the tapping and breathing, clears stored energy in a highly impactful manner, resulting in a greater sense of peace, joy and freedom. Click here to see part of a Vibrational EFT session that was recorded some years ago and another here. Recorded Live, these albums will take you on a journey. Put on your headphones and sail within to the sounds of gongs and drums and chanting and more. All original, never to be repeated. Our first album Samanayo was released in the autumn of 2013 and our second Daylight Moon was released in the autumn of 2015. They are available as hard copy and digital download through CD Baby and iTunes, Amazon etc. Our third album Ayllu is now available. Like all of the others, this is recorded live and edited and is a sacred journey. 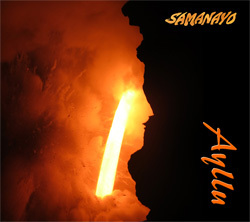 The cover of the album is a photograph taken by Gray in Hawaii this year (2017) when watching the lava pour into the ocean. This unique image captured the face of Mama Pele, the Sacred Goddess of Fire, facing to the right, as the lava flows down from her eye. There is a man's face above, facung the left, with an open mouth. Ayllu (pronounced eye-you) is a quechua term, the language of the Andes and the most common spoken indigenous language of the modern day. Ayllu represents community, not just immediate and extended family structure but others who represent the building blocks for a healthy and sustainable way of communicating and living. The term was used for this album because of the people involved in making the sounds that have been impacting the many people with whom we work. Instruments include chanting, drums, gongs, feather,s chacapa, windwand, Tibetan bells and bowls, chimes, flute, maraccas, rainmaker, flute, electric clarinet, digeridoo and more. Kevin is a multi instrumentalist and philosopher of the heart. 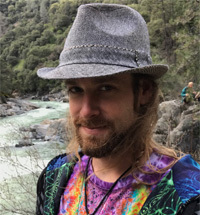 Playing music for nearly two decades he has moved into holding sacred sound scapes for groups and individuals as they go fourth on their personal meditative journeys. Utilizing instruments such as drums, chimes, shakers, bowls, gongs, didgeridoos etc. 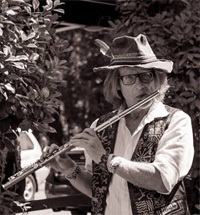 Kevin assists and takes people into uncharted inner realms through his approach to sacred instruments and sounds. 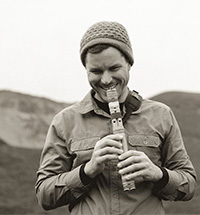 Matthew Nall is a musician, photographer and bodyworker from the island of Maui, Hawaii. Working with touch, sound and light; Matthew celebrates relationship, the living world and our indigenousness while weaving traditional and contemporary practices for a modern time. 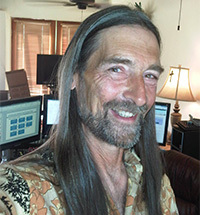 Jon Lovgren has been practicing and teaching spirituality for 30+ years with his primary focus being ho'oponopono and the practice of forgiveness. For more information, see getpono.com.